Remember those first 3D games on the Nintendo 64? Remember that feeling when you stepped onto Hyrule Field for the first time in Ocarina of Time and just sat in awe at how expansive it was? Remember the first time you jumped into a painted world in Mario 64 and had to battle King Bob-omb? 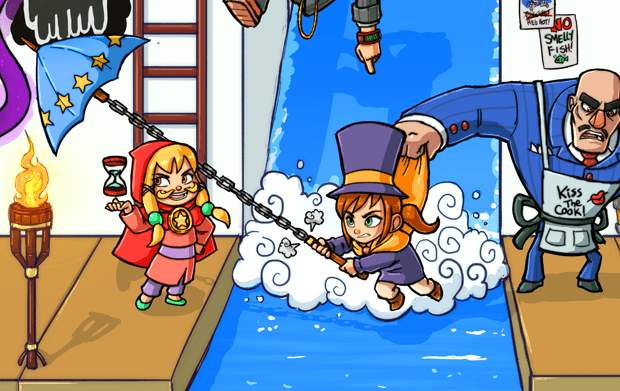 Gears for Breakfast hopes to rekindle that awe and amazement with their Kickstarter project A Hat in Time. 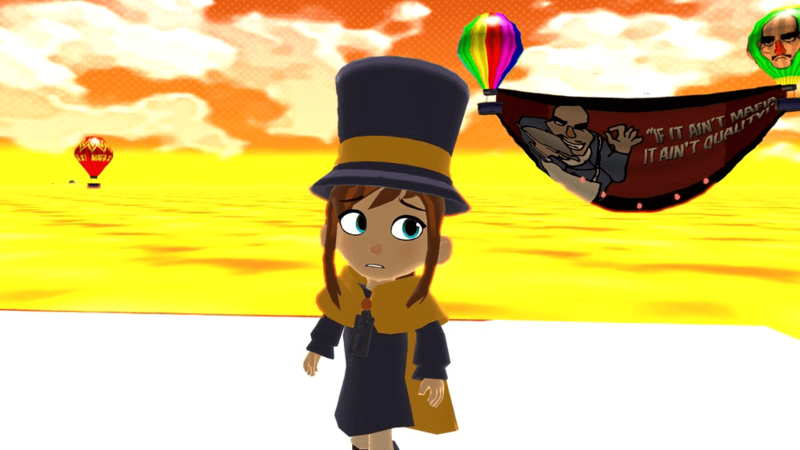 A Hat in Time is a 3D action collect-a-thon platformer for Windows and Mac OS that hearkens back to the days of the N64. You can easily see the influence of games like Super Mario 64, Banjo-Kazooie, and The Legend of Zelda, although I’d say it takes its artistic cues from the GameCube Zelda game The Wind Waker, with its colorful cel-shaded graphics. 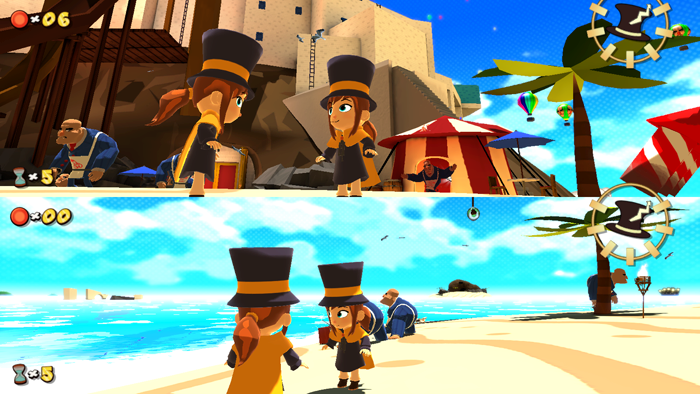 Of course, there’s nothing wrong with that—Wind Waker looked great, and so does A Hat in Time. Time is falling apart and it is the job of the brave interstellar-travelling Hat Kid to collect all the time pieces and put them back together! But watch out, you’re in a race against the evil Mustache Girl who wants to use time for evil! Pretty sure Mustache Girl is related to the Bearded Lady. 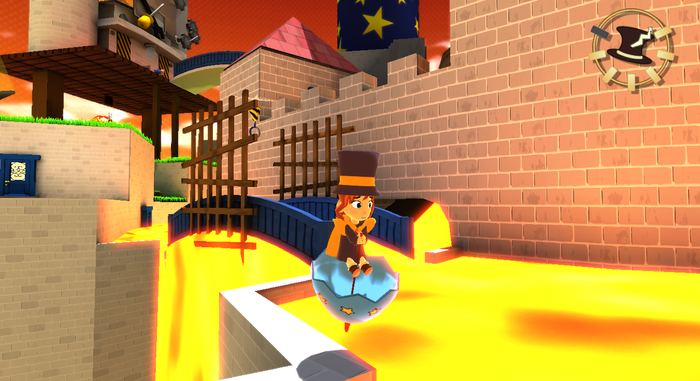 A Hat in Time will have a mix of traditional and unique gameplay mechanics. You’ll be able to do things like running and jumping (this includes wall jumping), as well as attacking with your trusty umbrella. For more unique mechanics, you’ll have to look deeper into the umbrella, as it appears you can use it not only as a weapon, but also as what appears to be a hookshot and a makeshift raft. And you’ll need to upgrade your umbrella to unleash its wide range of abilities. You’ll need every single one of them for going up against Mafia Cooks, Snatchers, Moonjumpers, and…well, whatever you can come up with. Unless I’m mistaken, if you donate, you’ll get a chance to decide what the final 3 Chapters of the game will be. (Each Chapter is a different land and is separated into several Acts). So, with the game looking as good as it does, why do they need your money? Because they’ve pretty much been working without a budget until this point. The team is made up of guys from Denmark, the United Kingdom, the United States, Australia, and New Zealand, and they’ve been doing this while working full-time jobs and/or going to school. The good news is this will change at the end of the Kickstarter. They already have three times their initial goal of $30,000 USD pledged toward the project. This will help create more character models, concept art, code, sound effects, and all that fun stuff that goes into making a game. In addition, they’ve achieved stretch goals that will see developer commentary throughout the game, a co-op mode, and an additional 6th Chapter for the game (the last two to be released as free DLC). They also have goals for voice acting for all character dialogue ($95,000), a 7th Chapter ($110,000, also as free DLC), and a song from Grant Kirkhope, composer for Banjo-Kazooie, Donkey Kong 64, GoldenEye 007, and Perfect Dark ($150,000). And most of the money leading up to that goal will be used to improve existing chapters with added enemies, NPCs, items, and new abilities. Reward tiers for A Hat in Time start at $5 with a special thank-you, a download of the game’s main theme music, and desktop wallpaper. Downloadable copies of the game start at $15, with physical copies going for $50. In addition, you can get the game’s soundtrack ($20), two downloadable copies of the game ($25), beta access and a poster ($40, though the poster is optional), alpha access ($70), a glow-in-the-dark shirt ($150), a Hat Kid figurine ($250), and an hourglass necklace ($350). For limited rewards that are still available, you can help design an in-game hat ($500) and an NPC ($1,000). A shipping fee of $2, $20, or $22 will apply for physical rewards destined outside the U.S.
Just like Hat Kid, we’re really excited for this game. 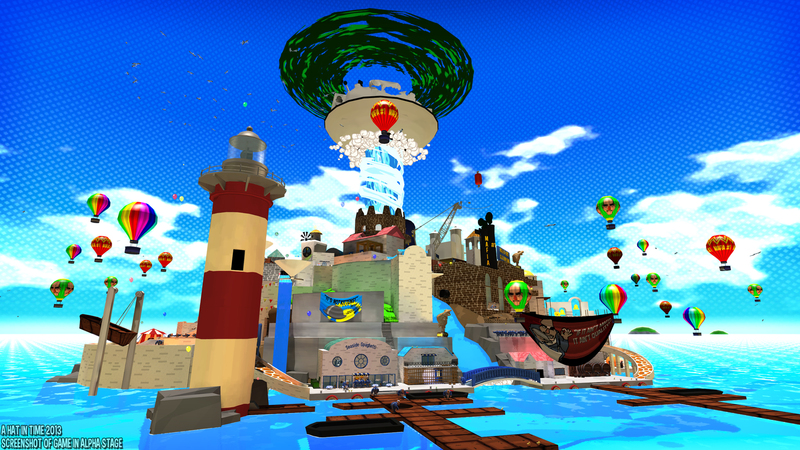 A Hat in Time is currently scheduled for an early 2014 release, with hopes of coming to Steam and the Wii U. You can support the game by donating to the project on Kickstarter and voting for the game on Steam Greenlight.